Shalom. Our message this morning will come from Genesis Chapter 27. And one of the most crucial events in all The Bible is in this Chapter. Crucial because it is determined by The LORD GOD which son, Esau or Jacob would give life to GOD’s Chosen People, The Jewish People. And this outcome would have a major effect in the lineage of The Messiah Yeshua. The title of our teaching is Jacob, GOD’s Anointed. So, let’s turn to Genesis 27.1-8. GENESIS 27.1 Isaac was about 137 years old. His eyes were weak. He was almost blind. Esau is the older. His twin brother Jacob, slightly younger. 27.2-3 WEAPONS to hunt, because Esau was a skillful hunter. QUIVER – a case that Esau slung over his shoulder that held his arrows. 27.4 SAVOURY MEAT – a delicacy, tasty, especially applied to dishes made of meat taken in hunting. Jacob certainly loved both his parents, but I think he may have been a little closer to his Mother, and he obeyed her. He did what she said. And there is no doubt The LORD GOD is silently involved in Rebecca’s plan. In fact, this may quietly be GOD’s Plan. 27.10 Here is Rebecca’s plan, the Mother of Esau and Jacob. She is ensuring the fulfillment of GOD’s choice over Isaac’s mistake that the elder Esau will serve the younger Jacob. And Jacob will be the one blessed to be the Father of GOD’s Chosen People. 27.11-13 Rebecca had no fear of a curse. She had the full confidence she was doing the will of GOD, knowing that GOD had told her the elder will serve the younger. Esau will serve Jacob. 27.14-17 Listen to this. GOD used disguise when he had Samuel anoint David King of Israel because Samuel was frightened, if Saul hears it, he said to The LORD, he will kill me. VERSE 2 The sacrifice was a disguise for Samuel’s mission to anoint David King of Israel. GOD takes our shortcomings and fears into consideration. He knows we are dust, weak. VERSE 20 It’s true, The LORD GOD did bring the food quickly from Rebecca, Isaac’s Wife. While Esau was out hunting game and then cooking it, which could take a very long time, Rebecca took a couple of young goats from their herd and prepared them for her Husband Isaac. So preparing Isaac’s food was quick because GOD’s Plan of election had to be fulfilled for Isaac to bless Jacob with the Abrahamic Covenant; not Esau. Esau was not to be the Father of Judaism. Esau was not to be in the lineage of Messiah. Jacob was the one anointed and called of GOD, even before his birth. Not Esau. And Rebecca was arranging for GOD’s Plan to be carried out. I’m guessing before all these charades, Isaac discussed his plan with his Wife Rebecca to bless Esau. And he would not listen to Rebecca’s words, thus the disguise of Jacob. Isaac made a mistake; we all do. And GOD, let’s say, bailed Isaac out. He rescued him. And the Jewish People. And if you will, The Messiah. Isaac asked Jacob to come close to him so he could feel him. Why? Because Isaac may have thought, there’s something fishy going on here. Esau saying, The LORD your GOD brought the food to me. Impossible. Isaac knew his son Esau was ungodly and The LORD GOD was never in his vocabulary. I want to be sure this is really my son Esau, he thought. 27.22-27 Let me say this, prayer and calling on The LORD GOD to bless someone is also prayer, as Isaac blessed Jacob whom he thought was Esau. The point I’m making is this. GOD has a formula when it comes to calling on GOD for prayer and blessings. And the formula is this. GOD hears the prayers of the righteous. A righteous person is one who has faith in Messiah Yeshua, and is obedient to GOD’s Commandments and His Law of Moses. And the sinner who is unrighteous, well his or her prayers will not get past the ceiling. GOD will not hear. Even though Isaac made a huge mistake, GOD saw in him a righteous man and He rewarded his blessings, to Jacob. 27.28 So, Isaac called on The LORD to bless the land Jacob lived in, and water and enrich the fields he cared for, and bless Jacob, though Isaac thought he was blessing Esau. 27.29 Isaac’s blessings take into consideration all the promises GOD made to Abraham and passed onto Isaac. And Isaac wants to pass them onto Esau. But GOD chose Jacob. Here are the promises known as The Abrahamic Covenant. Let’s look into Isaac’s blessings in Genesis 27.29. Let people serve you, and nations bow down to you. 27.29 I strongly believe Isaac was a Prophet of GOD. And this blessing, I think, had at least 2 prophetic meanings that will be fulfilled in The Millennial Kingdom when Messiah Yeshua reigns. 1. Since the Jewish People will descend from Abraham, Isaac and Jacob, and Messiah Yeshua will come from The Jewish People from Abraham, Isaac and Jacob, and Jacob’s 4th son Judah, all peoples and nations will serve Messiah and bow down to Him in The Messianic Kingdom and throughout eternity in Heaven forever. 2. GENESIS 22.17 Your descendants will possess the gate of his enemies. 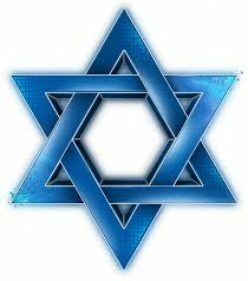 Many Jewish People who have faith in Messiah will govern those countries outside the borders of Israel during the 1,000 year Millennium, especially those countries who hated the Jews and Israel, and made GOD’s People their enemies. Non-Jewish Believers will also be rulers of those countries, those who also have faith in God and Messiah and have kept His Word, Commandmnents and His Law of Moses. Revelation 5.10, Revelation 20.6. 27.29 Be lord or master over your brethren and let your Mother’s sons bow down to you. I believe this also has to do with Messiah’s reign in The Millennium. YOUR BRETHREN means all the Jewish People. If GOD allowed Isaac to suceed in blessing Esau and not Jacob, the Jewish People and Messiah would have descended from Esau, a godless man, unholy and unrighteous. However, GOD saw to it that His Chosen People and Messiah would descend from Jacob who was GODly, holy and righteous, whom GOD would later name Israel. 27.29 Cursed is everyone that curses you, and blessed is he that blesses you. That is also part of The Abrahamic Covenant. Let’s talk about birthright for a minute. Because Esau was the elder twin and Jacob slightly younger, it was assumed by Isaac, I think, that the promises and blessings of GOD made to Abraham and passed onto Isaac MUST pass onto Esau as his birthright. A birthright is any right or privilege to which the elder is entitled to by birth. But there’s a hitch here. Birthright IS NOT a Law or Commandment of GOD. At the time, birthright laws were a Middle- Eastern tradition and not a law of GOD Almighty; nor a commandment. VERSE 33 TREMBLED – KHAHRAHD – Isaac shuddered with terror and fear. Maybe because Isaac still thinking the Covenant and blessings should be given to Esau and not Jacob. And knowing his blessing to Jacob would stand. I believe that GOD and Rebecca saved Isaac from a huge mess-up, and possibly Esau from death. VERSE 35, He tricked me. This whole affair never would have happened if Isaac did what GOD had said, “The elder will serve the younger”. Esau will serve Jacob. For whatever reason Isaac strayed from GOD’s Word, I don’t know. But this we do know. GOD works all things for the good to those who love Him, to them who are called; FOR HIS PURPOSE. VERSE 36 SUPPLANTED – AH-KAHV – replaced, to take the place of another, especially by superior excellence or power. Yahahkove – Jacob – The LORD has replaced. Just a thought. Something to consider. Again, I believe Isaac was a Prophet, knowing that Esau would be the founder of the country Edom, separate from the Jewish People, the Children of Israel. And Edom would at a time in the future serve Jacob, The Children of Israel. Isaac said to Esau, “I have made him, Jacob or Israel, your master and all his brethren I have given to him”. VERSE 39 As a hunter and like everyone else, you will live off the fatness and riches of the earth. VERSE 40 – You will be a warrior all your life. even in the latter days. – And in time, you will overcome Israel, for a season, for a period of time. Paul says it so well about GOD’s sovereign choice. That the purpose of GOD according to election will stand. It will prevail, and it will succeed. ONE – that Jacob WAS NOT a deceiver or trickster. But this is how GOD carried out His Plan because His Servant Isaac almost made a huge blunder. TWO – we all make mistakes; it’s human. But GOD’s Plan for your life and my life and all history will not be changed, because the will of GOD stands. His sovereign choice and purpose succeed, always. And THREE – It pays to be righteous. That is, have faith in GOD, and Messiah and obey The Commandments of GOD and His Law of Moses. Isaac, Rebecca and Jacob were obedient to GOD. Esau was not. Shalom. This morning our message and teaching will be about Isaac, the son of promise and the son of Abraham. Isaac was a gentle man, a man of faith, and obedient to The LORD GOD and his father Abraham. Isaac was so loved by The LORD that GOD called Himself The GOD of Abraham, Isaac and Jacob. Isaac was a man who obeyed GOD. He stayed in Gerar, a place in Canaan, as GOD commanded him, rather than pulling up stakes and moving himself and his family down to Egypt because of a famine in the land. And Isaac loved his father Abraham. He was devoted to him and willing to die for his father. He was obedient even unto death. We’ve heard those words before. Isaac was willing to be offered up to The LORD as a burnt offering because The LORD GOD commanded his father Abraham to take his son, his only son Isaac whom he loved and go into the land of Moriah and offer him there for a burnt offering. But GOD spared Isaac and provided a lamb in his stead for the sacrifice. Isaac was willing to give his life for his father and The LORD GOD and they both passed an impossible test of The LORD their GOD. VERSE 18 During the Messianic era, more commonly known as the 1,000 year Millennium, Jewish Believers in Messiah and non-Jewish Believers in Messiah, both who are and were subject to and delight in GOD’s Law, will rule with governmental powers in those cities and countries that were enemies to the Jewish People and had hatred toward Israel. GENESIS 12.1-3 All passed onto Isaac, Jacob and the Jewish People. GENESIS 15.5 Over 4,000 years, a great number of Jewish People. GENESIS 17.7-8, 11 VERSE 7 The Covenant is everlasting between GOD and Abraham, Isaac and Jacob, and the Jewish People. VERSE 7 GOD is to be GOD to Abraham, Isaac, Jacob and the Jewish People forever. The Land of Israel is given to the Jewish People by GOD for an everlasting possession. VERSE 11 Circumcision. We’ll talk about that later. The Land shall not be sold forever. The world should take notice of these words and the fullness of the Abrahamic Covenant. PROUD – SAYD – Arrogant, presumptuous – WEBSTER’S- overstepping due bounds, going beyond what is right. GOD will judge the world and punish mankind because of their disregard to His Word and His Laws, their ungodliness and sin by violating His Law of Moses. And He calls it arrogance and pride and tyrannical. That is what will happen when the world finally convinces Israel to divide their Land. GOD will punish the world and judge it. All the countries of Canaan – who are they? GENESIS 15.18-21 These are the Canaanite countries. Canaan was the name of the land that was west of the Euprates River that runs through Syria and Iraq. The land of Canaan continued to The Mediterranean Sea. Canaan, which is GOD’s boundaries for Israel, is 70 miles NORTHEAST of Damascus, Syria. It includes all Lebanon, most of Syria, about half of Iraq, the major part of Jordan to the southern tip of the Dead Sea, a small land portion of the northern tip of Saudi Arabia, plus the Sinai peninsula, Gaza, and part of Egypt to the Nile River, and, of course, all of today’s Israel. The boundaries of Israel can be found in Numbers 34.1-12. And all the nations will be blessed in the Jewish seed, Yeshua The Messiah. This is also part of the Abrahamic Covenant. All the Land of Israel will be realized in the 1,000 year Millennium and will also belong to those non-Jewish people, who like Abraham, are of faith, and obey GOD’s Commandments, His Statutes and His Laws, who believe in Messiah Yeshua. VERSE 5 The Abrahamic Covenant was given to Abraham and his Jewish descendants after him, because he obeyed GOD. And GOD will always bless YOU for obeying His Commandments, Statutes and Laws. MY STATUES – KHOOKOTY – My Commandments, Laws and Decrees. AND MY LAWS – VEETOROTY – All My Laws, today, all The Law of Moses and all My teachings. Abraham obeyed every word GOD spoke and commanded. That is what we should set out to do. That is being a godly and holy person, a true Believer in Messiah. COMMANDMENTS (JOHN 15.10) ENTOLAY – GOD’s Commandments are collectively The Law of Moses and The Commandments of the Prophets. The Word of GOD includes GOD’s Commandments, His Statues and His Law of Moses. In fact, that is The Word of GOD. Let’s take a brief look into the life of Isaac because most people know so little about him. Isaac was the first to be circumcised at 8 days old. Circumcision is a requirement of GOD for every Jewish male when they are 8 days old because the circumcision is evidence of the promises GOD made with Abraham, The Abrahamic Covenant which is inherited by every Jewish person. Circumcise the foreskin of your heart. What does that mean? It means, stop being stubborn, stop disobeying GOD and open yourself to The LORD your GOD, and obey Him. VERSE 17 Isaac was a meek and humble man as Yeshua was. He did not argue with Abimelech because of Abimelech’s fears and jealousy. He simply left. The fact that GOD calls Himself The GOD of Abraham, Isaac and Jacob speaks volumes about how special Isaac was to GOD. Isaac is very much alive and today is in Heaven with His GOD and Messiah, The GOD of Abraham, Isaac and Jacob. This is a critical teaching. GOD is The GOD of the living and not the dead. The living are people like Abraham, Isaac and Jacob who loved The LORD their GOD, obeyed Him and lived their lives by every word that proceeded out of the mouth of GOD. Believers in Messiah should be taught that. 26.25 From this verse, Rabbinic tradition credits Isaac with the introduction of the custom of praying each afternoon. 26.26 In the following verses, we see that Isaac had a good heart. He was forgiving when he treated Abimelech and his crowd with respect and kindness after he was hated and kicked out of his own land by Abimelech. “Jacob have I loved and Esau have I hated”, The LORD said. Isaac is a good example for all who claim to be Believers in Yeshua The Messiah. He was a gentle man, a man of faith and a man who was submissive to GOD, obeying His every word. And today, Isaac is in Heaven, and as Yeshua said in Matthew 2 2.32, “GOD is not the GOD of the dead, but of the living”. Isaac is an example of what is required to enter eternal life in Heaven. Faith, faith in GOD and Messiah, and submission to GOD, obeying His every Word. It is as simple as that, but so many miss it…. Shalom, Our teaching this morning will come from Genesis 26.1-3 and it will be devoted to a study of The LORD our GOD. To say that our teaching will include everything there is to know about The LORD would be inaccurate, because His greatness has no end, and is forever. And His ways are unsearchable. GENESIS 26.1-2 TELL – AHMAHR – to say, command, determine; i.e. live where I tell you (verse 3) in Canaan, today’s Israel. Adam, Abraham, Jacob, Moses and others saw The LORD GOD also in the form of a human being. Though GOD appeared like a human being, a man, He was completely the fullness of GOD, and not a human. GOD is Spirit, invisible, without form or shape, but when He reveals Himself in physical form, He is in the likeness of a human being, Who by the way, is Yeshua Ha Mashiakh. Thus, The LORD Who appeared to Isaac and others was Yeshua. We, all people, look like GOD. He made us in His image, in His likeness, and we are a lot like GOD. We have the same characteristics of GOD such as happiness, anger, sadness, love, intelligence, thoughts, etc., and for some, eternal life in Heaven. The question is sometimes asked, “Why did GOD make us, why are we here?” And I think the answer to that is because He loves us and wants us to share in His love and His magnificent creation. Thus, He made us in His image after His likeness. PSALM 139.7-12 GOD knows all that can be known. He is present in all places. No one can escape His reach. Even darkness where we can hide is no hiding place from GOD. COLOSSIANS 2.9 GODHEAD or DIETY is the nature of GOD, His attributes, His qualities, characteristics. In the human body of Yeshua lives the whole fullness of GOD. In New Testament times, He was GOD revealed in the flesh. Today in Heaven, Yeshua looks like a human being but He is fully GOD, 100%. Can we have perfect knowledge and understanding of GOD. NO! The depth of GOD is beyond the understanding of man. Far beyond our understanding. Most people really have no interest in knowing GOD, or care for His ways – think about the days of Noah, and Sodom and Gomorrah. We don’t fully know GOD or completely understand Him. But this we do know. Everything is from Him, and for Him. RECOMPENSED – that GOD should pay him back. But this one very important thing we do know about GOD. He wants us to obey Him, and that never changes. The secret things, the things GOD has hidden from us, belong to GOD. But the things GOD has made known, published in The Scriptures, i.e. His promises, blessings, Commandments, His Law, Word, Messiah, Salvation, etc., belong to us and to our children FOREVER. (us=The Jewish People and the true Believers in Messiah). And everything GOD reveals in His Law, The Law of Moses, is revealed to everybody, and available to everyone, and should be obeyed. HOLY – KAHDOSH – pure, clean from sin (accomplished only by obedience to Torah). Separated to GOD. That is a Commandment. FOREKNOW – know before the Creation. PREDESTINATE – decided Salvation in advance, before Creation. CONFORMED – we are to be like Messiah, similar to Him. Everything that is wonderful about GOD: His miracles, wonders, His Creation, His love, everything; and His thoughts toward us cannot be compared to His greatness, The Bible says, and we know. So, how can we explain GOD and Creation, and life and blessings? Except to say our GOD is wonderful! RECKONED – His greatness cannot be compared to Him, He is so great. Everyting is from GOD. Counsel, wisdom, understanding, strength, riches, honor, righteousness and substance and so much more are from GOD. VERSE 14 Counsel, wisdom, understanding and strength all come from GOD. Those that are up early, at dawn, and earnestly search for GOD and His wisdom, with painstaking, i.e. with diligence and effort – will find GOD and will find His wisdom. VERSES 18-21 Loving GOD is shown by obeying Him. And then GOD will fill your treasures (plural). PROVERBS 22.4 Humility is obeying GOD rather than yourself. EVERLASTING – OLAM – always, eternal, forever, without beginning, without end. Waiting patiently (verse 31) is most important in our walk with GOD. Because many Jewish people have rejected their Messiah Yeshua, and that is also GOD’s Plan, (READ Isaiah 53.3), Paul writes, Salvation has come to the Gentiles to provoke them to jealousy. This is also GOD’s wisdom. Messiah will give us rest, and He teaches us how to attain it. And finally, here is outstanding counsel from Peter to all who love Messiah. DEAD TO SINS – no longer living in sin. How? By obeying GOD: His Word, Commandments and Law of Moses. BISHOP OF YOUR SOULS – The One Who watches over you. This teaching is but a tiny tip of the iceberg about our knowledge and understanding of The LORD GOD of Creation Who is Life, and has life in Him, and gives it to every living thing. There is no other life other than The Life GOD gives to humanity and all living things. Our GOD is sovereign. He makes His own plans and carries them out in His own way, at His own time. He does according to His own will. He is transcendant yet quick to forgive. Transcendant meaning He exceeds USUAL limits because He has no limits. But it’s interesting to note that GOD said, “Let us make man in our image after our likeness.” In His image means, all human beings have a physical and bodily likeness like GOD and a mind. And in our likeness, GOD means, we are like Him…Well, that’s the best counsel of all WE SHOULD BE LIKE GOD. And we can be like GOD because we believe in Yeshua and we have His Holy Spirit. And being like GOD is being Holy. GOD said, “You Shall Be Holy For I The LORD Your GOD Am Holy.” Being holy is being pure and clean from sin, and separated to GOD. That can only be accomplished as GOD teaches in Deuteronomy 29.29 by doing all the Words of this Law, which is The Law of Moses. And then we will be like GOD having eternal life in Heaven forever, without end. Shalom. Today is the 3rd day of Hanukkah. It’s an 8 day Holiday, and although it is not a commanded festival of The LORD, it is a memorable and important time for Israel and all Jewish people, and those who love the Jewish People. Thus our message this morning will be about Hanukkah and the events found in prophecy that lead up to Hanukkah. And that’s what our message will be about, Hanukkah in prophecy. But first, let’s review some information about Hanukkah. -Hanukkah in Hebrew means dedication. -It’s also known as Hag ha urim, meaning, the Festival of Lights. -Hanukkah honors the memory of the rededication of the 2nd Temple after the Jewish People were victorious over the Syrians who persecuted the Jews, killing thousands and auctioning off thousands into slavery. The Syrians hatefully desecrated The Temple of GOD with Greek idols and pig sacrifices. The king of Syria, Antiochus Epiphanes, also ordered the end of all Torah observance, including Shabbat observance, circumcision and possession of a Torah scroll, all punishable by death. -It’s interesting to note that the Torah, which is The Law GOD gave to Moses for Israel and all the world is still rejected and hated by much of mankind today. This is also a work of satan. -The 2nd Temple that was desecrated by the Syrians is The Temple Yeshua walked in and taught in. -The events leading up to Hanukkah were brought upon Israel because of her sins against GOD. -However, Hanukkah, the rededication of The Temple, and the great victory over the Syrians, is an 8 day holiday and a time of joy and thanksgiving. -It is not commanded by GOD to observe. It is not a fast or a Sabbath except on Friday at sundown to Saturday at sundown. -Hanukkah became official when the Macaabees defeated the Syrian army and sent them packing on the 25th of Kislev, 165 BCE, 2,135 years ago. The 25th of the Hebrew month Kislev was this past Wednesday evening at sundown. -The Hanukkiyah, the 8 branched menorah is lit every evening for 8 days starting with 1 candle and adding a candle every evening. Why? Because when The Temple was rededicated, pure oil that was found in The Temple was sufficient to burn for only 1 day, but miraculously burned for 8 days until supplies could be provided. -Spinning the dreidel and giving little gifts to children are popular during Hanukkah. -The Sephardim, the Jewish People from Spain and Portugal recite Psalm 30 on Hanukkah, while Psalm 113-118 called the Hallel or praise, are read by most Jewish people on the holiday. We’ll read Psalm 30 this morning. Hanukkah is more than lighting the Hanukkiyah, the 8 branched menorah, or spinning dreidels. It’s a story of courage and strength, and if you will, the work of The LORD GOD behind the scenes. It’s a story of a maniacal Syrian king, Antiochus Epiphanes who hated the Jews and despised The Torah, The Word of GOD, and sought to convert the Jewish People to his own pagan religion, while killing thousands of Jews. Finally, the Jewish Macabees, a guerilla warfare group booted the Syrians out of town. This prophecy takes place when the Jewish People were in exile in Babylon and Persia around 535 BCE. VISION – prophetic vision or dream from GOD about future events. THE VISION at the first – Daniel had a vision earlier about 4 beasts. -This vision is about the painful events leading up to Hannukah. 8.2 – Shushan was a palace in Elam in Persia, today’s Iran. 8.3 The ram, as explained later, symbolizes the great Persian empire. -The Persian empire included Persia, India, Ethiopia, all the Middle East, and Israel. -The higher horn, I believe, Cyrus the great king of Persian empire. 8.4 No army could stand against this great empire. 8.6-7 The Persian empire was defeated by the Greek armies led by Alexander the great who was 20 years old when he demolished the armies of the great Persian empire in 331 BCE. Keep in mind, this prophecy GOD gave Daniel took place around 535 BCE. -Greece became a mighty empire. -The great horn that was broken is Alexander the great. He died at 33. -The 4 notable or great horns are 4 kingdoms that were ruled by 4 of Alexander’s generals after he died. -CASSANDER – ruled Macedonia, northwest Greece, and southern Albania (north of Greece). – TOWARD the four winds of Heaven. Perhaps GOD gave them power to be the most powerful kingdoms on Earth. 8.9 This prophecy was written 370 years before Hannukah, before the lighting of the menorah, and the rededication of The Temple. -The little horn came out of Seleucus, the king of Syria. This little horn is not the anti-Christ but he is like the future anti-Christ. This little horn is Antiochus Epiphanes the madman, who persecuted Israel, despised Torah, and desecrated The Temple. -THE PLEASANT LAND is Israel. – HOST – STEHVAH, also means, a mass of persons, and servants. This host of Heaven is the Jewish People who Antiochus Epiphanes, himself a work of satan, and his armies, stomped upon the Jewish People. They persecuted and killed the Jews and sold them into slavery. 8.11 MAGNIFIED – GAHDAHL – proud, honored himself, boasted. Antiochus called himself Theos Epiphanes, god manifested. – The place of his sanctuary was cast down; I believe Antiochus made his offices in The Temple but ruined it through his idolatry and pig sacrifices and pagan worship. In fact, he dedicated The Temple of GOD in Jerusalem to the Greek gods Olympia and Zeus. The historical source of Hanukkah is found in the book of 1 Macabees in the Apocrypha. Apocrypha in Greek means “hidden”. There are 15 books in The Apocrypha, primarily written by Jewish authors during the 2nd Temple period around 516 BCE and even past its destruction in 70 AD. The question is sometimes asked, why is the Apocrypha not included in T’Nakh? And the answer is because some of the writings were written in Greek, and some were written too late to be included, and no obvious explanation for the others are known. Just some information I thought I would pass on. back to DANIEL 8.12 A host was given him – the host are the Jewish People. 40,000 killed and 40,000 auctioned off into slavery. – AGAINST the daily sacrifice: the Syrians were given the charge of the daily sacrifice, using pigs, because of the transgression of the Jewish people. – IT CAST DOWN the truth: Antiochus abolished Torah just as it is today. Most people have rejected The Law. They have abolished it. – IT PRACTICES and prospered: Antiochus had success in persecuting and killing Jews and abominating The Temple. COMMANDMENT – PEE: GOD’s mouth, His Commandments, Law and Word. satan’s ministry is to teach mankind we don’t have to obey GOD. He’s succeeding well. and persecution of the Jews in Israel. – GOD’s fury and anger will come at the end of days when He destroys the world. Why? Because of world disobedience to Torah, world disobedience to The Truth. VERSE 23 – When the transgressors are come to the full; when Israel’s sin is full and accomplished, and GOD has had enough, He will bring Antiochus the madman onto the scene to persecute His Chosen People because of their continuous sinning against The LORD their GOD, transgressing The Law, because sin is transgression of The Law of Moses. 8.24 Not by his own power: Antiochus is a type of the coming anti-Christ. His pwer is from satan, and all power is from GOD. You’ll know any anti-Christ. They reject The Law and teach disobedience to Torah. He (antiochus) destroyed the Jewish People. DANIEL 8.25 His POLICY – his evil wisdom and understanding. CAUSE CRAFT to prosper. His lies and deceit will succeed. PRINCE of princes – GOD & Messiah, one and the same. BROKEN without hand – GOD killed Antiochus by disease 1 year after Hanukkah. The Macabees, Judah Macabee and Jonathan, Johanan, Eleazar and Simon formed a guerilla army of fighters and defeated the Syrians. And the people returned to The Temple, cleansed it and rededicated it to The LORD their GOD, and lit the great menorah. This whole tragedy that brought about Hanukkah was because of Israel’s disobedience to GOD and His Law of Moses. And there’s a lesson to be learned here, even today, for everyone, for Jewish and non-Jewish People; especially those who call themselves Believers in Messiah. And the lesson is this. Not obeying GOD, that is refusing to obey GOD’s Law of Moses, whether you are Jewish or not Jewish, whether you are a Jewish Believer in Messiah or a non-Jewish Believer in Messiah. By not obeying The Law of Moses GOD’s Law of Moses, you will certainly bring troubles into your lives. Sometimes great troubles. On the contrary, when you obey GOD, that is, keeping His Commandments and living your life by His Law of Moses, blessings will run after you, and with your faith in Messiah Yeshua, GOD will give you eternal life. Shalom, the reason we decided to teach the book of Genesis was because Genesis lays the foundation of GOD’s Laws and Commandments. And in Genesis well before instruction of His Laws, GOD introduces us to His Messiah Who is GOD Himself. In Genesis 1.1, The LORD says, “In the beginning Elohim created the heavens and the earth”. Elohim is a Hebrew plural word meaning GODs for the One GOD of creation, because The One GOD of creation is The Father, Son and Holy Spirit. He is all three and He is one, there is no other GOD. And Yeshua, we learn from Genesis, is GOD Almighty Who appeared to Adam, Noah, Abraham and others. So now our studies have led us to the 25th Chapter of Genesis where Abraham dies, and The LORD continues with His teachings about Isaac, Jacob and Esau…the origin of the book of Genesis is from GOD and His Words were given to Moses at Sinai when Moses was with GOD for 40 days and 40 nights in the mountain. Genesis, or in Hebrew beh ray sheet, meaning, In the beginning, comes from the opening words of the book. Judaism calls it the first book of The Torah, Hebrew for Law. The Torah consists of the first five books of the Bible, Genesis, Exodus, Leviticus, Numbers and Deuteronomy. And Genesis as we well know, starts with GOD’S creation of the world and the heavens and everything in them. The origin of humanity, starting with Adam and Eve and Noah, and the flood, etc. Then The LORD presents the life story of Abraham and centers around his relationship with GOD. GOD’s establishment of His Covenant with Abraham, and the heir that GOD promised him, his son Isaac. So, the Laws that GOD gave mankind in Genesis are this. The 7th day sabbath of rest. The 7th day is Saturday. The Sabbath starts Friday night at sundown, and ends Saturday evening at sundown. GOD introduces the food laws in Genesis; what to eat and what not to eat. The Law against murder. The Law of the sacrifice for the atonement of sins. And later on in The Torah, GOD’s Laws are expanded to The Laws He gave to Moses for Israel and all mankind. John says in 1 John 5.3, “GOD’s Commandments are not difficult.” And Solomon says in Ecclesiastes 12.13, “The whole duty of mankind is to fear GOD, and keep His Commandments”. GOD teaches humanity, starting in Genesis 2 and 3 NOT to disobey any of His Commandments. This we learn from the story of Adam and Eve and satan who was in the form of a snake. GOD teaches, starting with this story, that rejection of His Laws and Commandments will bring severe results, even eternal consequences. And GOD teaches, again, starting in Genesis, obedience to His Laws and Commandments brings blessings, resulting in eternal life. This we learn from Enoch who walked with GOD, meaning he obeyed GOD, and The LORD took him up to Heaven. Today, we have Messiah Yeshua Who through His atoning death, GOD has forgiven us our sins, to all who receive Messiah. Now The LORD requires us to lead a Godly and Holy life in obedience to Him, or as Paul writes in Romans 8.29, we should be conformed to the likeness of His Son. We must obey GOD as Yeshua did. This morning’s message will include the births of Esau and Jacob, once again teaching us that the purpose of GOD is according to His election, according to GOD’s sovereign choice. GENESIS 25.12 ISHMAEL – YEESH MAH ALE meaning GOD will hear. GENESIS 25.12-16 The Hebrew word for word is Dahvahr, and dahvahr has a number of important meanings, especially if dahvahr is The Word of GOD. The Word of GOD also means His Commandment and decree. A decree is an order having the force of law. Thus, GOD’s Word is Law. And GOD’s Word also means, HIS PROMISE. STAND – KOOM; means Decree, i.e. GOD’s Law, continues and is established (forever). GOD’s Word, which is also HIS PROMISE, is so powerful, His Word created the universe. GOD’s Word and Promises are so important to Him, GOD magnifies His Word and His Promises above all His Name. What I’m getting at is this. When GOD makes a Promise, He keeps it. He doesn’t renege, He doesn’t change His mind or back out. He keeps it. He always keeps HIs Promise. When GOD says He loves you with an everlasting love, He means it. He loves you here on earth and throughout eternity, forever. GENESIS 21.13 Sarah told Abraham to send away Hagar and her son Ishmael. 6. GOD kept His promise to Abraham, and He will keep His promises to you. PROVERBS 11.21 SEED – descendants, i.e. children, grandchildren, etc. PROVERBS 15.29 HEARS – hears, listens and will do it. Those are just a few of GOD’s promises to you. LIFE – KHAYEEM – a good life on earth, eternal life in Heaven. Let’s move on to Jacob and Esau. GENESIS 25.20 – PADAN-ARAM – The plains of Mesopotamia, a region in Syria near the Euphrates River. LABAN – was Rebekah’s brother. He was the Grandson of Nahor, Abraham’s brother. GENESIS 25.21-22-STRUGGLED – RAHTSAHTS – strove, fought, wrestled with each other. Why am I thus? Why am I like this? GENESIS 25.23 – Here is GOD’s answer to Rebekah’s question, Why am I like this? #1. Two nations are in your womb. (Israel and Edom. Edom was in the southern part of today’s Jordan, south of the Dead Sea). #2. Two manner of people will be separated from you; i.e., two peoples, Israel and Edom will come from you. SEPARATED – PAHRAHD – separated, set apart, disconnected, detached, DIFFERENT. #3. The one people shall be stronger than the other people, i.e., Israel will be stronger than Edom. Edom is no longer a country today. It’s gone, part of Jordan. Israel and her people will remain forever. JEREMIAH 31.35-37 The moon and stars will never be removed, and the Jewish people will remain forever. JEREMIAH 33.25-26 – The Jewish people shalll remain before GOD forever. GENESIS 25.23 – The elder, Esau, will serve the younger, Jacob or Israel. Let’s see what happened to Esau’s Edom. ROMANS 9.9-16 The plan of GOD stands acording to GOD’s election. GENESIS 25.26 – 20 years after Isaac prayed for his wife Rebekah for a child, she gave birth to twins. HUNTER – TSAHYEED – a hunter who kills animals for food. JACOB – YAHAHKOVE, Israel traces Jacob’s name to mean “May GOD Protect”. However, Jacob has been given other questionable names like heel catcher, supplanter meaning replace, and trickster, etc. GOD has devoted almost half the book of Genesis to Jacob, Chapters 25-50, to a man He chose to be called Israel (Israel is hated by many, even today.) GOD chose Jacob to be the father of the 12 tribes of Israel and all the children of Israel, the Jewish people, and whom GOD said, “Jacob have I loved”. Here’s a description of what GOD sees as being perfect. Being perfect in the eyes of GOD, is believing in Messiah and keeping the Laws of GOD and His Commandments, all of them. GENESIS 25.28-29 SOD POTTAGE – boiled or cooked something like stew. GENESIS 25.30 – EDOM – EHDOME – red. GENESIS 25.31-34 A BIRTHRIGHT is any right or prividege to which the elder, here Esau, was entitled to by birth, because Esau was the firstborn son of Isaac. HEBREWS 4.3 This was GOD’s plan from before the creation. PROVERBS 16.1 The answer of the tongue is from GOD. Esau said feed me. Jacob said, okay, give me your birthright. PROVERBS 21.1 GOD directed both hearts and minds; Esau and Jacob. He made their decisions. GOD guided Jacob to be a man of GOD, perfect and upright and obedient. To be given the name Israel, and to inherit The Covenant GOD gave Abraham. Esau became an enemy of GOD’s people Israel, and an enemy of GOD. In conclusion, I say this. If GOD has given you the heart to love Him and Messiah Yeshua, do it with every ounce of strength that is in you. And how do you prove to GOD and Messiah you love Him? By obeying His Commandments, and all His Law.